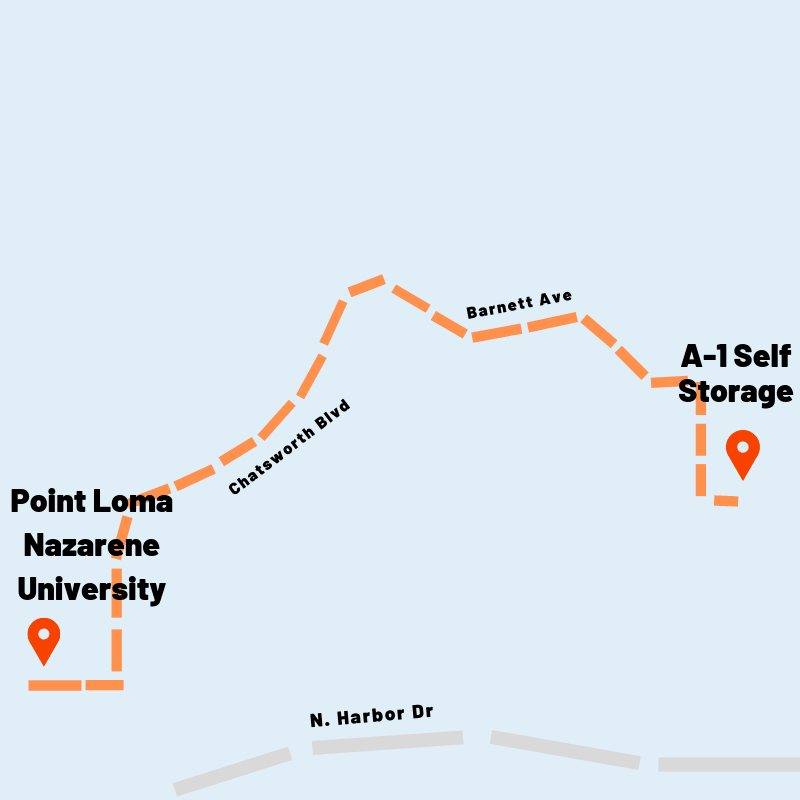 A-1 Self Storage welcomes students from PLNU! Believe it or not, it’s time to start thinking about storing your dorm room or apartment for the summer break. It’s either move it or lose it, Sea Lions! Conveniently store your belongings with us and enjoy your summer vacation. That way you don't have to drag it with you, and it'll be here when you get back. Sound easy? It is!